Bitcoin will lose 50 per cent of its cryptocurrency market share to Ethereum within five years, states an influential tech expert and business analyst. The comments from Ian Mcloed, from Thomas Crown Art, the world’s leading art-tech agency that he established with renowned art dealer, Stephen Howes, comes as Ethereum, the world’s second-largest cryptocurrency by market cap, began a price recovery on Friday after being hit hard with a major sell-off in recent weeks. Bitcoin – the biggest digital currency – had also been in decline, but it bounced back quicker than its nearest competitor. Indeed, Ethereum had crashed 85 per cent overall this year. 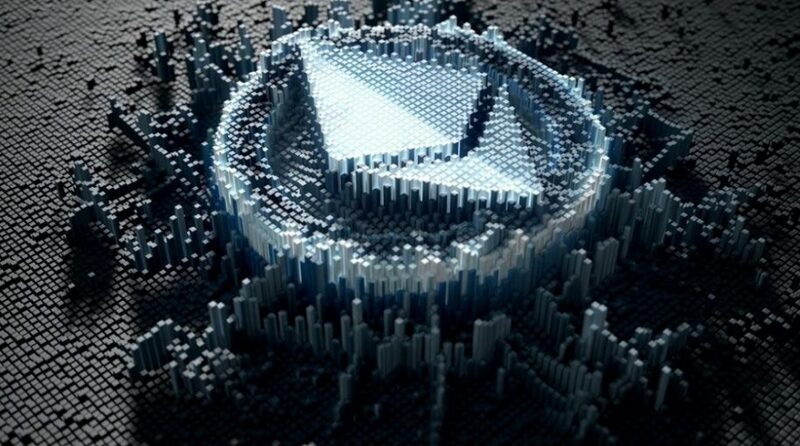 However, Ethereum is regained ground late last week, jumping almost 14 per cent after its most recent plunge, only find itself trading again 10 per cent lower once more in the past 24 hours. What is happening? And what does the future hold for Ethereum? Mr Mcloed observes: “Turbulence is a regular, and sometimes welcome, feature of the crypto sector. Therefore, the Ethereum rebound was, and is, inevitable. “But not only do we think it will rebound considerably before the end of 2018, I believe that over the longer time it will significantly dent Bitcoin’s dominance. “Simply, Ethereum offers more uses and solutions than Bitcoin, and it’s backed with superior blockchain technology,” says Mr Mcloed.